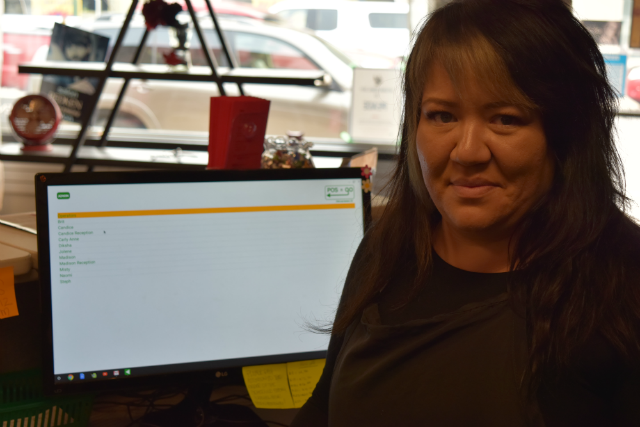 Misty Nabess at The Hair Mob in Cranbrook has been using POS-n-go for 18 months. The scheduling function allows multiple stylists to track thousands of customer appointments. Said Nabess about POS-n-go, "Love it, awesome, easy to use." Appointments can be designated by Type and Status. The Type of appointment can be phone-in, walk-in or pre-book. The Status can be scheduled, confirmed, arrived, cancelled and invoiced. Lots of details on each appointment. Each customer appointment can be associated with product purchases. The entire transaction is then printed on a receipt or emailed, depending on the customers preference. The Hair Mob exclusively stocks a complete line of Redken products. If hair is not your thing, then try the tanning salon. Check out The Hair Mob, call 778-517-5655.